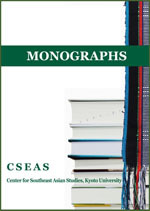 We welcome manuscripts of high scholarly merit on Southeast Asia. We do expect all of our authors to make the utmost effort to seek financial support for their publications. Manuscripts will be received any time. However, if you are a resident of Japan and plan to apply for the Grant-in-Aid for publication from JSPS, you must submit the manuscript by the end of April for Kyoto University Press (or the end of February in the case of U of Hawai`i Press). If you plan to submit your manuscript, please contact us (editorial@cseas.kyoto-u.ac.jp) via e-mail.